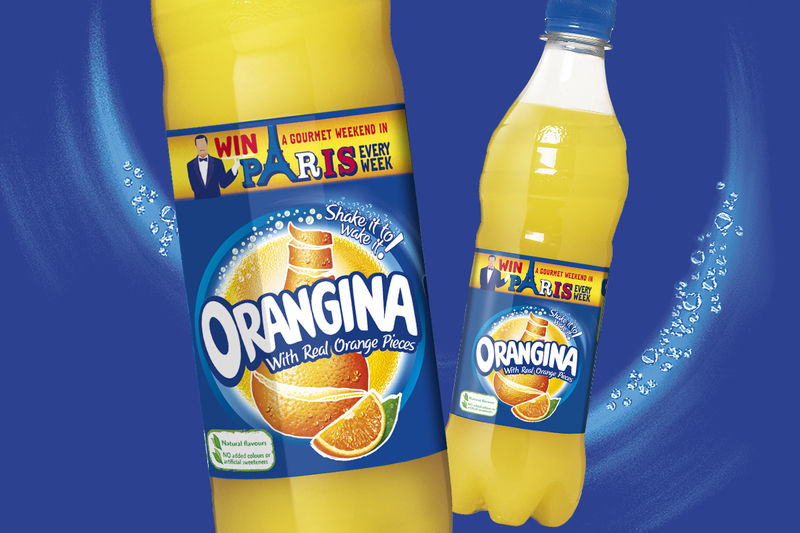 500ml Orangina promotion to win a Gourmet weekend in Paris. After being briefed by a marketing agency about the promotion a number of concepts were supplied and this one (with a few tweaks) was chosen. 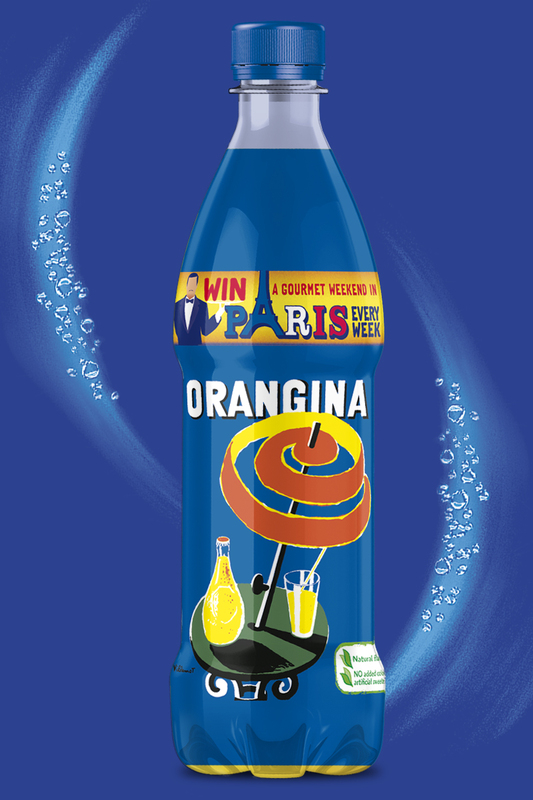 It was rolled out on both 2 Litre and 500ml bottles with the 500ml having a special all over shrink wrap incorporating a vintage Villemot ad into the label area.